Perhaps the best holiday yet. The cottage is actually situated at St Thamec (5 kms outside Moelan-Sur Mer). Attached to the owner's property the accommodation was absolutely fine. There is a small patio on the front which affords some privacy and is in the sun most of the day.If I was to be pernickity the only minor problem I found was negotiating the spiral staircase from the bedroom at night, as my wife and I are both over 70. We found Evelyn the owner, to be a very friendly and obliging person The nearest sandy cove is just 15mins away and most of the time was empty. If you like walking there are numerous well signposted walks along the coast and surrounding countryside. We found that there were so many places along the coast to walk and explore we hardly used the car all week.If you like a simple holiday of walking, reading, cheese and wine etc then this is for you. The only other thing you need is the weather we had. Lovely places to visit. Doelan is particularly nice and Trois Mat is a good lplace to eat. House is perfect for two. Lovely garden. You need a car to get anywhere. The sheets in the bed seemed a bit old so newer ones would be good. 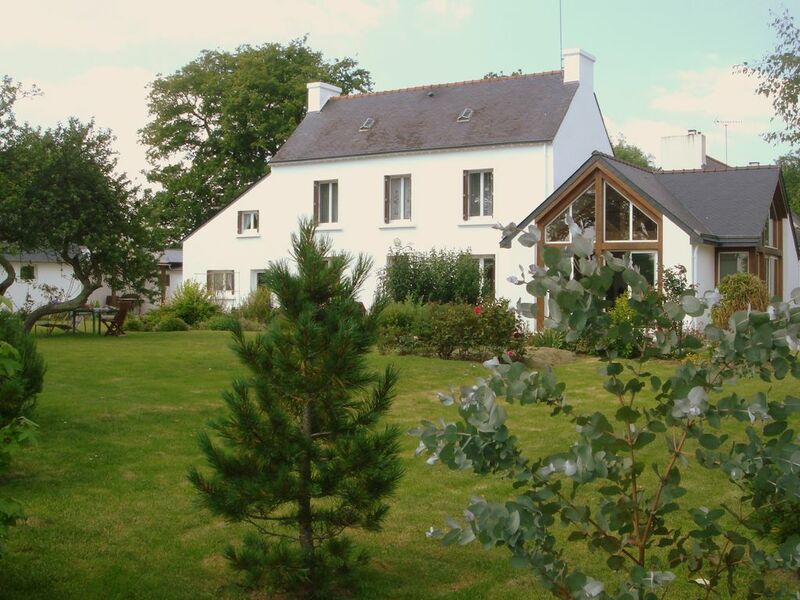 Un gite très bien aménagé et parfaitement équipé pour des randonnées magnifiques à toute proximité des sentiers comme des sites de visite. Madame GUERNALEC est charmante, discrète mais très disponible. Un excellent séjour au calme que je recommande en arrière saison pour profiter des couleurs d'automne.